The silhouettes of sumo wrestlers on a bright turquoise background will certainly start a conversation at the office. These guys are big on fun. 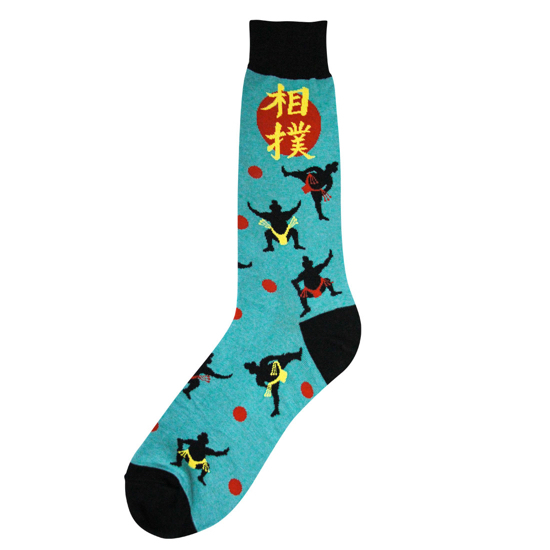 You may not be the biggest Sumo wrestler in the fight, but you will be the coolest with these Sumo Socks.